Thanks to William for adding graphics of a synopsis of the episode content for this month on Final Stage Podcast! I'm also happy to announce that this and all of our previous podcasts are now officially up on iTunes and on the hosting site of Podbean. 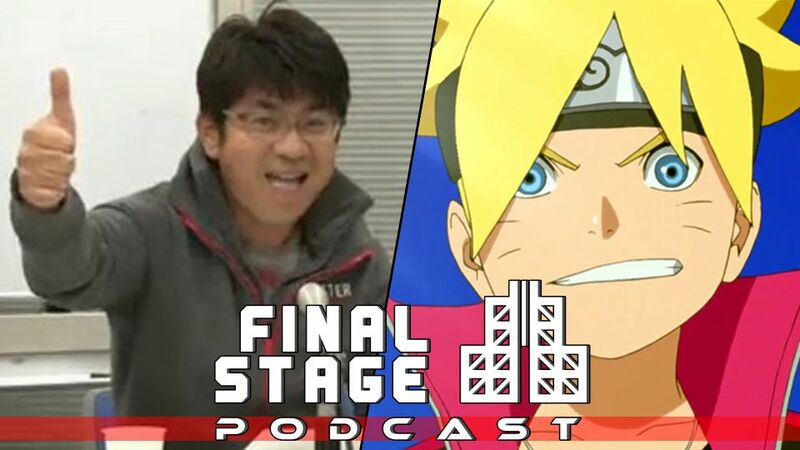 Just a quick update to let you know that the 7th episode for the Final Stage Podcast with William and I is out! It is actually a shorter broadcast (for us LOL)! I'm also happy to announce that this and all of our previous podcasts are officially up on iTunes and on the hosting site of Podbean. The episode went live about an hour ago so it may take a little bit for iTunes to update with the latest episode. It is of course uploaded on Podbean at the same time it goes live on YouTube. Good news everyone! Sasuke director Masato Inui launched a new Sasuke web series and confirmed that Sasuke 32 has been greenlit! The bad news is that the Final Stage Podcast has some new competition. Oh well! I doubt we have much to worry about. In the meantime, join us as we discuss ANW at NYCC, the announcement of Team Ninja Warrior, China vs The World, and the Canadian version of Sasuke that is in no way fake. Also, William talks about Boruto, meaning we actually do talk about the other Sasuke. 1:36 Arsenette has a brand new dot com! 12:00 William went to New York Comic Con and saw Boruto: Naruto the Movie. 35:24 Team Ninja Warrior is official! 49:53 X-Warrior held their own international competition. We know 4 of the 5 members of team USA! 55:16 Sasuke Vietnam Season 2 and the new Sasuke Ninja Warrior Indonesia are about to tape! 1:07:23 Ninja Warrior Canada is real! Oh wait, it's not. 1:15:26 Inui has a new Sasuke themed web series and confirmed that Sasuke 32 is happening! 1:32:37 William gives a message about his 8 year anniversary making videos.